Grab a mug of pumpkin spice tea and the historical fiction book for our autumn read-along! Today, we’ve rounded up some extra history notes to accompany the first three chapters. B-24 Liberators were designed by Consolidated Aircraft from San Diego, California and had high cruise speeds, long range, and carried heavy bomb payloads. However, this aircraft was not as popular as the B-17 Flying Fortress because the B-24 was more difficult to fly and could not fly as high. Still, the Liberator was mass produced – about 18,500 planes – and still holds records as the most produced bomber in military history. Interestingly, some of the designs of the Liberator had a ball turret under the plane (like the aircraft in the book) and some did not. 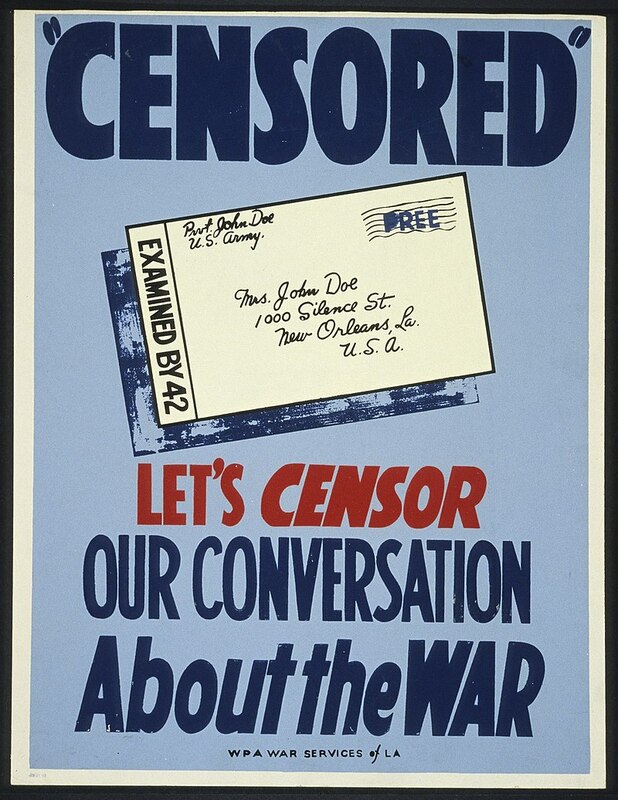 Did you know that 14,462 people were employed by the United States’ Office of Censorship during World War II? Established in 1941 and operating through 1945, these censors were on the look out for information that could aid the enemy or simply should not be shared for military safety reasons. In the book, Jim writes his letter carefully, knowing that if he writes any information that should not be shared it will be crossed out or the letter never delivered. Precision bombing, in theory, placed the bombs on the target and minimized the damage to surrounding structures and the civilian population. Although the Allies liked to promote their use of this strategy to seem more humanitarian, in the actual circumstance it was less accurate and not always as “on target” as some suggested. The British had started flying precision bombing runs at night to try to avoid the flak and German fighter planes. 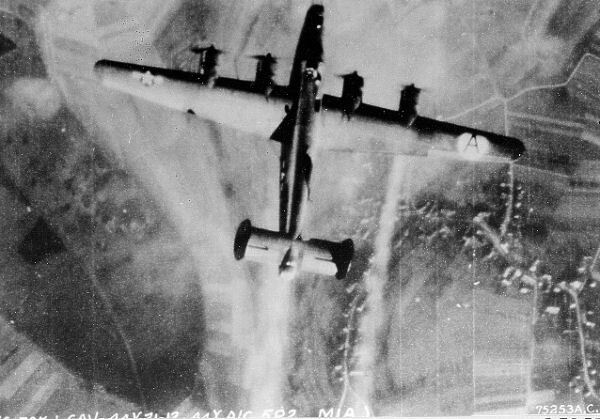 American bomber squadrons started flying during the day and initially took the Germans by surprise since they had started expecting all attacks at night. Before long, though, they caught on to the American’s idea, but the U.S. bomber groups continued to fly daylight missions, helping the Allies keeping the attack pressure constant on the enemy targets. The 44th Bombardment Group (which fictional character Jim Yoder belongs to) was real and stationed in Europe from 1942 to 1945. The big mission in this chapter also really happened; on May 14, 1943, the 44th Bombardment Group flew a bombing run against the German naval buildings and facilities at Kiel for the unit received the Distinguished Unit Citation for their role in the dangerous mission. One of the things I like about Gunner’s Run, aside from the history, is how the story is constructed. There’s no wasted time getting into the action and excitement, and the reader gets a clear sense of the conflicts. Which conflicts stand out to you? Do you see any foreshadowing in these opening chapters for later in the book? It’s great to read for entertainment, but it can also be fun to read carefully and look at how a story is built – especially if you want to write! My book hasn’t arrived yet! Got my book, and have determined to “do it right” this time. It is interesting to see how quickly the author established Yoder’s character. He seems a very typical American guy. I sort of thought to myself–what if he had been Catholic? There are many mentions of prayer & faith, and those sometimes look different when seen from a Catholic perspective. I sort of have a rosary tucked under his pillow–in my mind, anyway! I live near an airport in Hollister, and there is another airport in Salinas. There are several collectors & clubs that fly old planes, and they fly over our home quite frequently–especially since this coming weekend is the Salinas Airshow. You can always tell by the sound those old planes make, and we rush out to see if we can see them & identify them. Pretty cool, those old planes! Thanks for the clip. Welcome to the read-along, Meg!